Free version is called Muscal Lite, having the same features but with ads. Musical Pro for Android is an Android application that aims to provide musicians a mobile tool kit. The Musical Pro was created by a young man named Christopher Souvey. It offers important music tools, simplicity, ease of use and has a very small hard drive imprint. 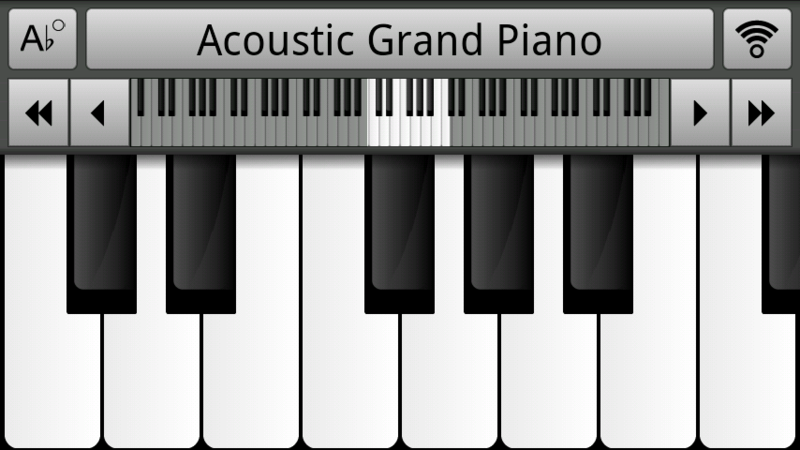 Grand Piano - With Scrolling, octave switching and recording. Piano Practice - Easy to use piano for students of the instrument, with built in songs for learning and playing along. Metronome - With time signature and note value adjustments, 40 to 200 bpm time.